On Wednesday I talked about some of our favorite products from the Salt Lake City Gluten Free Expo. 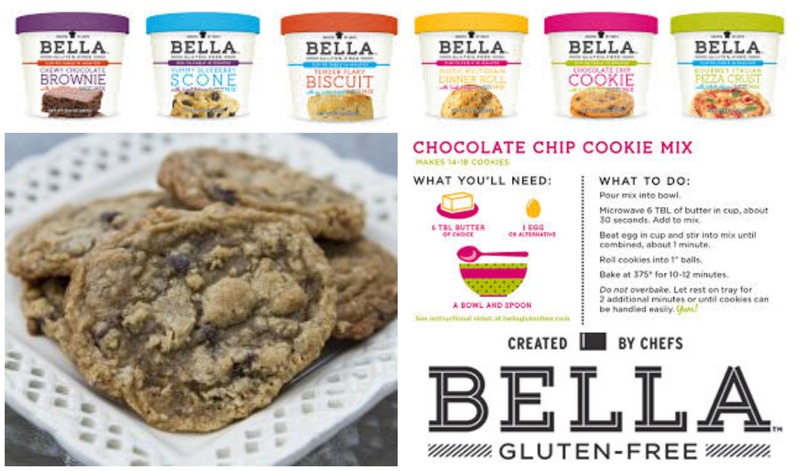 Bella Gluten Free won our #3 spot. Walking around the expo there were soooo many baking mixes. I tried four different pumpkin spice mixes alone. I walked into the store the other day and there were soooo many baking mixes for scones, biscuits, cake mixes, and more. Soooo many. And they all cost about the same. They all taste about the same and include pretty close to the same types of ingredients. So when I saw the display, Bella Gluten Free caught my eye. The products tasted great, but it was the innovative packaging that really caught my eye. They looked like little ice cream pints. What a GREAT idea! Her products were literally flying off the shelves at the expo. My wheels got turning and I thought of my sister in law with a gluten allergy. She would kill for the blueberry scones. Tie a wooden spoon and a ribbon around her pint and it is an inexpensive but beautiful looking gift. My niece with a gluten allergy would love a cute little spatula so she could make her own chocolate chip cookie or brownie mix. Gluten free can be inexpensive too. At under $5, this makes a wonderful holiday gift. We made the biscuits and I loved that it included three different recipe variations on the box. 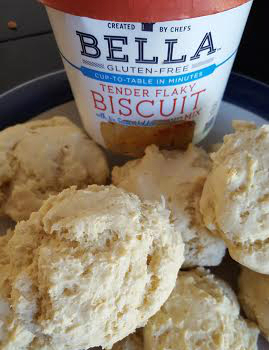 You can head to the Bella Gluten Free website to order. Use the code GFSLC20.